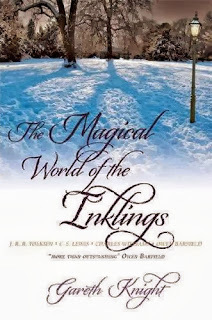 On Saturday July 12th, from 9.30 am to 4.30 pm, I will be hosting a 'Day of Imaginative Writing with The Inklings' at the Manchester Cathedral Visitor Centre. It is a requirement of my M.A in Creative Writing and Paedagogy that I carry out a day's teaching before the course ends in September. I am also hoping to develop a career in spiritual direction and retreat giving with reference to the interplay between faith and the arts. I must stress, though, that religious belief is in no way a prerequisite for attendance. Imaginative openness, sensitivity and receptiveness are far more important. Throughout the day we will focus on developing our writing (the workshop is suitable for both poets and prose writers) with the help of three members of the group of creative Oxford Christians known as The Inklings: C.S. Lewis (1898-1963), J.R.R. Tolkien (1892-1973) and Charles Williams (1886-1945). These writers certainly have their differences, in terms of style and temperament, but a shared belief in the transformative power of the imagination - informed by but transcending individual beliefs - runs like a red thread through their work. The Inklings can be viewed, among many other things, as creative bridge-builders. In their writings, a variety of worlds and levels of perception intersect and interweave like patterns on a Celtic cross. These worlds are by no means ends in themselves, however. They point 'farther up and further in', as Lewis put it, towards God (or the Divine, or the Mystery, or however we want to put it), the fount and source of our creative inspiration. In our individual artistic practice, therefore, we hope to follow in the footsteps of The Inklings by bringing our imaginative vision and understanding to life on the page. In this way, we become (in Tolkien's phrase) 'sub-creators', playing an energetic, life-enhancing role of our own in the on-going creation of the world. 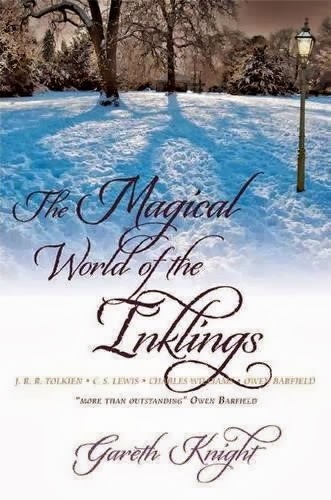 We will write imaginatively on July 12th in response to extracts from the fictional worlds forged by Lewis, Tolkien and Williams. Hopefully, these can serve as springboards for us - deepening, enriching and enhancing our vocations as storytellers and poets.